Most people who are concerned with their own success understand that a first impression can make or break an opportunity. Whether we’re talking about a school or job interview, a crucial business meeting with partners or competitors, or even something more personal like a first meeting with the parents of a significant other, the way we present ourselves often does more in an instant than the entire conversation that follows. This is commonly understood, but if you look into some of the numbers and psychological data behind the concept, you come to realize a first impression may be even more important than you thought. 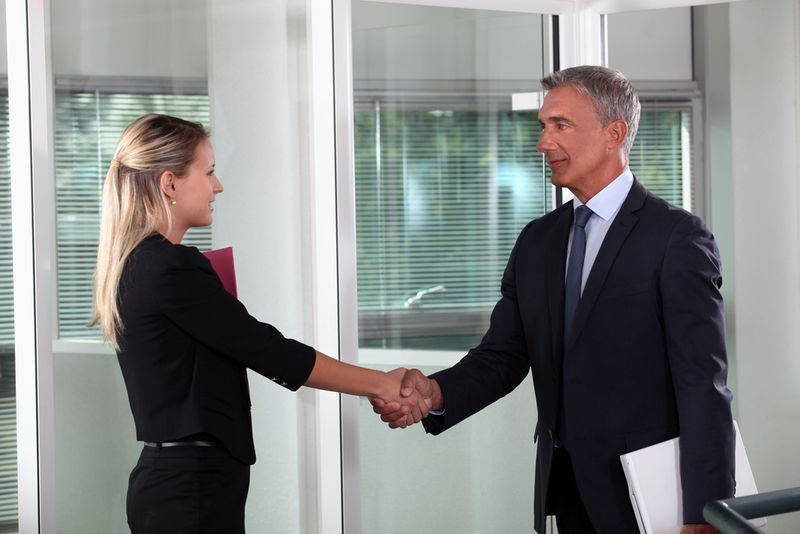 It’s often quoted that human beings take about seven seconds to form a first impression, and even this can seem kind of daunting. Seven seconds is about the length of time it takes for someone to see you walk into a room, stand up, and shake your hand. But according to a study written up by the Association for Psychological Science, we actually judge one another much faster. Citing work by Princeton University psychologists, the study claimed that a human can form a first impression in a tenth of a second merely from seeing another person’s face. Consider that in the context of a study written up by ABC News that confirmed first impressions often dictate the course of a relationship, and the implications are pretty alarming! Of course, these numbers and concepts shouldn’t be taking as an absolute either. The very idea of a first impression is a somewhat fluid concept. While it’s undeniable that the first few seconds of getting to know someone can have a long-term effect, we all notice and react to different things. That first tenth of a second may take in some information that matters less after five or ten seconds, when a fuller impression is made. Nevertheless, it’s always best to present yourself in a manner that will help others to naturally view you as a likeable, intelligent, and confident individual. 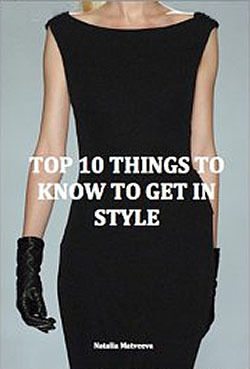 Below are a few ideas that can help you do just that, from an outfitting and style perspective. The Muse did a write-up of nine tiny style details that people notice when they see you, and a lot of the points therein addressed first impressions. In other words, these are the details people pick up on almost subconsciously, even if you’re hardly aware of them yourself. And a number of the points in the post essentially concerned the idea of wearing appropriately tailored clothing—making sure pants are the right length, blouses and jackets fit well, etc. Not many people will meet you and think that you had very nicely tailored pants, but they’ll almost certainly notice if you don’t. This is another point emphasised by The Muse, and it speaks to general grooming: you want good hair, clear skin, attractive but not attention-seeking makeup, and clean, cared-for hands. Among these ideas, the need for a manicure stands out because it addresses the only part of your body someone is likely to touch on a first impression. If you shake hands with dry skin or chipped and stunted nails, you may subtly indicate that you care less about your appearance. When you’re trying to make a good impression, it’s easy to be tempted by bold, impactful statements. And in certain scenarios, there’s something to be said for it; after all, a major statement piece can make you memorable. But it can also stand out a little too much and give the impression either that you’re trying too hard or that you have a loud, gaudy personality. Instead, opt for a subtler choice—a delicate but stylish piece of jewellery that will be noticed but won’t scream for attention. Lyst’s rundown of fashionable pieces can offer you a few specific ideas in this regard, such as a friendship bracelet with gold beads, or a thin chain necklace with a distinctive pendant at its end. These pieces will catch the eye without demanding to be seen while giving you a composed, effortlessly stylish look. Tailoring will take care of this to some extent, but it’s still something to take care of as you pick out your whole outfit. Too often, the most fashionable pieces of clothing can feel a little bit stiff or unnatural at first. While they can help you to look like you walked right off the pages of your favourite fashion catalogue, they’ll also impact your demeanour. Dressing for physical comfort, on the other hand, helps you to relax and feel at ease, and that’s absolutely something people meeting you for the first time can pick up on. Those are all general tips, but added up they can go a long way toward helping you present yourself in an effective and appealing manner.